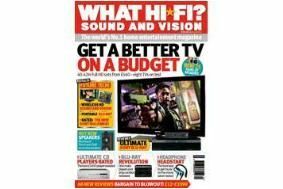 March 2009 issue on sale now | What Hi-Fi? We've gone Blu-ray-tastic with an exclusive First Test of Sony's superb new BDP-S5000ES Blu-ray player, and a six-way Group Test of one-make Blu-ray player/amplifier combos from Denon, Sony, Pioneer and Yamaha. Need a new telly to go with your Blu-ray player? Then check out our Supertest of 40-42in TVs, in which four plucky newcomers take on a quartet of established rivals. We've got new models from Panasonic (with built-in Freesat tuner), Sharp, Toshiba and new kid on the block Finlux. Has Sony's all-conquering, if controversial, KDL-40W4500 finally met its match? Elsewhere in the issue you'll find a Group Test of the best £950-£1100 CD players, a roundup of four high-definition digital media players including Apple TV, and for vinyl fans we've put together a Test Express of cartridges from £195-£250. Accessories tests include an HDMI cable roundup and iPod-friendly headphones from just £15. As ever, our First Tests section is packed with exclusive reviews. This month we've been listening to NAD's impressive new C545BEE CD player (£350), Rotel's RSX-1550 AV receiver, a pair of active speakers with iPod dock from Australian hi-fi firm Epoz, Harman Kardon's AVR 355 AV receiver, Mordaunt Short's floorstanding Mezzo 8 stereo speakers and the new A57 stereo amp from French manufacturer Carat. Think that's all? Oh no. We've also got a four-page New Technology Special highlighting the hot new tech coming your way in 2009, our comprehensive Bristol Sound and Vision Show preview and the chance to win one of 25 pairs of Cambridge Audio S30 speakers in our latest competition. So don't miss out. The March 2009 issue of What Hi-Fi? Sound and Vision is on sale now in all major supermarkets and newsagents.